Fall is Nearly Here! Is Your Furnace Ready To Get Back to Work? Boy, does it seem like summer sped through so quickly! It’s hard to wrap our minds around the official onset of fall on September 22! And yet, ready or not, here it is. Before too much more time passes, we will be switching off our air conditioners and powering up our heaters instead. This brings up a very important question: Is your furnace ready to return to the spotlight for winter? Will you feel safe and secure when you switch your HVAC system from “cool” to “heat” and send that first rush of warm air whooshing through your home? 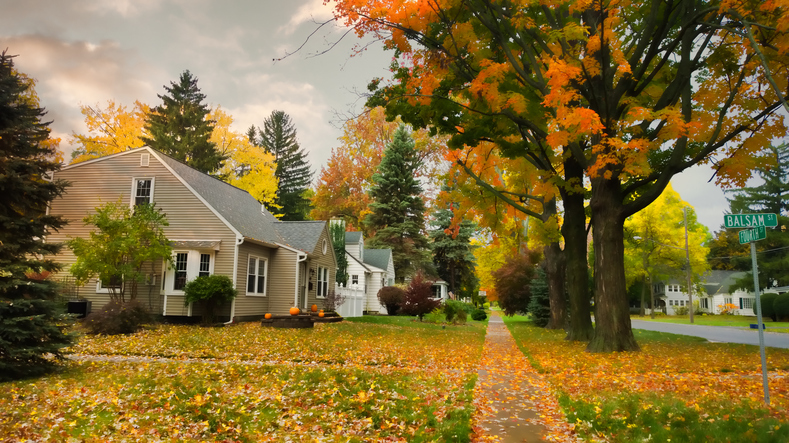 In this article, we review the safety steps to take to make sure your heating system operates safely, efficiently, and affordably this fall and beyond. Your fall and winter energy bills reflect the most efficient furnace operation. Your home and family are in no danger when you power up your furnace. For most people, the best way to ensure safe, efficient furnace operation is to schedule an annual furnace inspection and maintenance service appointment. This affordable service ultimately saves you money on winter energy bills and—a priceless benefit—puts your mind at ease about the safe operation of your furnace appliance itself. You can complete some of these safety checks on your own if you feel comfortable to do so. For other safety checks, you may want to have your service technician perform them for you. For most people, during the warm season, it is all too easy to permit debris or stored items to pile up quite close to the furnace. While there isn’t really any danger during the summer when your furnace is inactive, when you are ready to use it again, it is imperative that the area all around the unit is completely clear of debris and stored items. Otherwise, if your unit malfunctions for any reason, there is the risk that a stray spark may ignite nearby flammable materials and cause a fire. It is also very important to keep the area around the furnace clear so the vents don’t get blocked. If the unit cannot get the air it needs to operate, you face both a fire risk and an indoor air quality hazard. Smoke and carbon monoxide detectors are important home safety tools year-round, and especially in the fall and winter, when your furnace is operating. Each year, far too many carbon monoxide poisoning incidents happen simply because the home either did not have a carbon monoxide detector or because the unit wasn’t operating properly. The same holds true for your home’s smoke detectors. You will want to verify that the smoke detector batteries are fresh and that the units are operating as they should. Every furnace should start out the fall and winter season with a new air filter. During the months of heavy use, the air filter should be changed at least monthly, and more frequently if usage dictates. With a clean air filter in place, you won’t have to worry that trapped dust and debris will back up inside the furnace and cause a fire hazard. You can also look forward to breathing much cleaner, fresher indoor air when you change the furnace filter frequently. Often, parents assume children are too young to grasp the basics of furnace operation or understand warning signs. But give them a chance, and your children may surprise you! The truth is, every family member should know how to shut off power to the furnace. Every family member should know it is a serious matter when the smoke alarm or carbon monoxide alarm goes off. Every family member should know to give the furnace a wide berth, and not to touch it, play near it, or pile up stored items near to it. Finally, before you power on your furnace for the first time, it is always a great idea to give it a thorough fall cleaning. This can include clearing debris from around the unit (including overhead), dusting and wiping down the unit case and visible components, ensuring the vents are clean and clear, and vacuuming away dust from visible interior components that can be reached with a hose vacuum attachment. Scheduling your furnace’s annual inspection and maintenance service can detect and repair small issues before they can turn into major repairs or pricey surprise outages. For example, if your service technician discovers a small part is loose, broken, or in need of lubrication, this timely detection can go a long way toward ensuring you never have to make that weekend, night, or holiday call for emergency furnace repair service. As well, making these minor repairs and adjustments on an annual basis can reduce the amount of energy your furnace draws to do its job, keeping your energy bills lower during the entire winter season. Here at Shipton’s Heating & Cooling, our family has enjoyed nearly a century of living and working alongside yours in the Hamilton and surrounding areas. Give us a call at 905-549-4616 to schedule your furnace’s annual inspection and maintenance service, and enjoy cost savings and peace of mind all winter long knowing your furnace is operating as safely and affordably as it possibly can!